On the banks of the Brazos. Championship caliber with picturesque views of limestone cliffs. Front 9 in open area with lots of OB. Earns Beast nickname on back 9, which is carved through thick woods. Redesign 2012. Across the Brazos River from Cameron course. From the Cameron course, take Herring Ave. bridge across river, to a left at 2nd light (MLK). Go 0.25 mile to entrance on left. Park at the circle. 1st tee on right. From I-35; 335C exit (MLK). West 2.25 miles to entrance on the left. 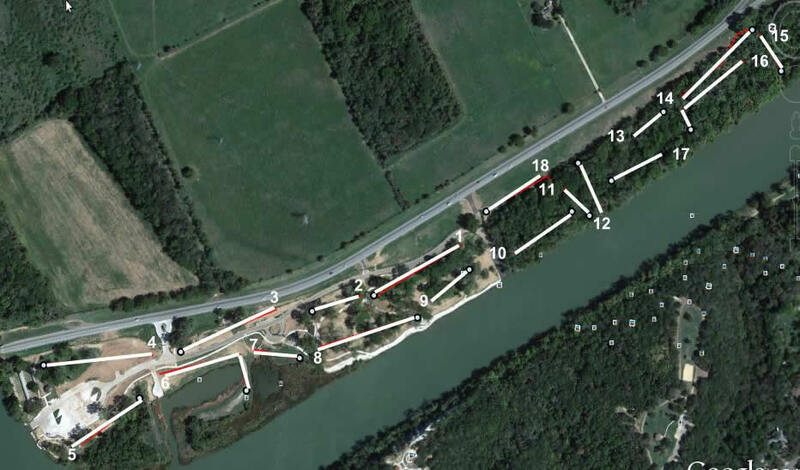 Well designed course and aptly called the bEast for a reason. Challenging back 9 will provide a many opportunities to switch up the order, as each hole has a different hazard and layout. Hole 7 on the front 9 is also known for taking discs with water on the far side and a large majority of the front. Needs to be trimmed regularly as Texas undergrowth is large and grows fast. Look for snakes on holes near water.